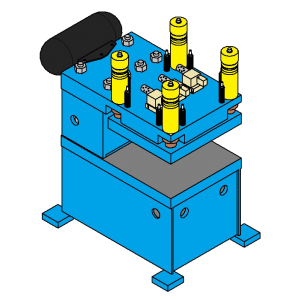 AIRAM leads the industry in the design and manufacture of standard and custom pneumatic presses 3 to 300 tons. We engineer our air presses to take on jobs normally reserved for mechanical and hydraulic presses at nearly half the capital equipment cost. Our experience allows us to match the right press to the job whether it’s metalforming, rollforming, plastics, packaging, paper or composites – a transfer application, automation requirement or cellular manufacturing. We’re customer-driven and service-oriented.